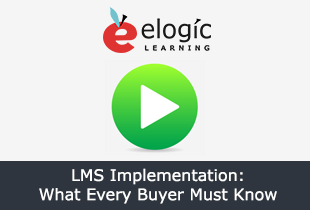 Shopping for a learning management system (or even just thinking about it) can be confusing or overwhelming with over 1,000 vendors to choose from and prices ranging from free to $75,000 or more. Pircing for key LMS categories and implementation levels as well as why fees vary so dramatically. We cover what to expect from each of the four different levels of implementation. The perils of investing either too little or even too much in LMS implementation. Tips on how to select the best vendor for your unique implementation needs.